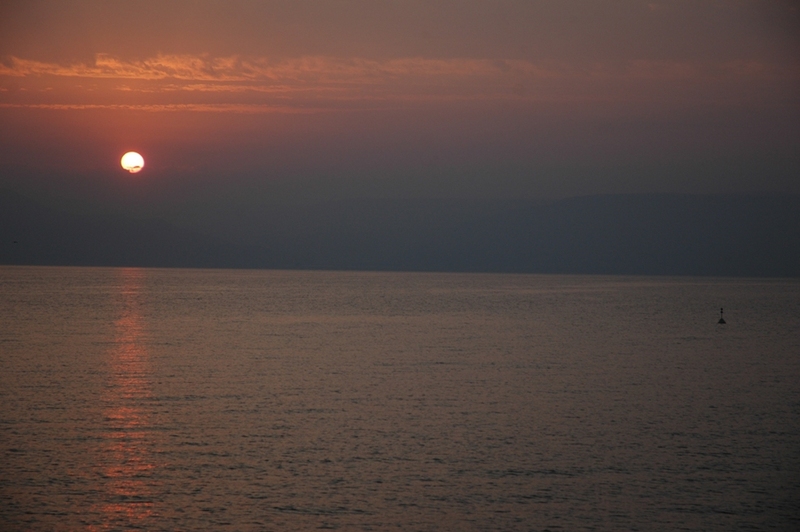 On our second morning in the Galilee some of us were up early to watch the sunrise over the Golan Heights. It was beautiful to see the sun come up in the east, with the promise of a new day, as it has been doing for 2,000 years since the time of Jesus, and even before. As we looked over our shoulders to the eastern shore, we saw Mt. Arbel towering high above us. That was to be our first challenge of the day. Soon a bunch of us were on our way, up the trail to the top of Mt. 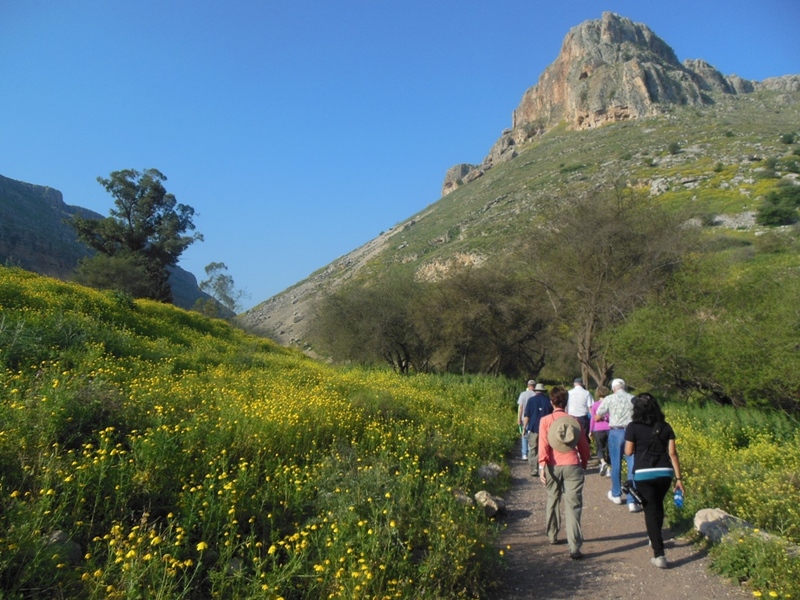 Arbel, on a beautiful spring morning in the Galilee. By the end of our climb, it had gotten quite steep. That’s me in the orange hat. But we were on the top before we knew it. 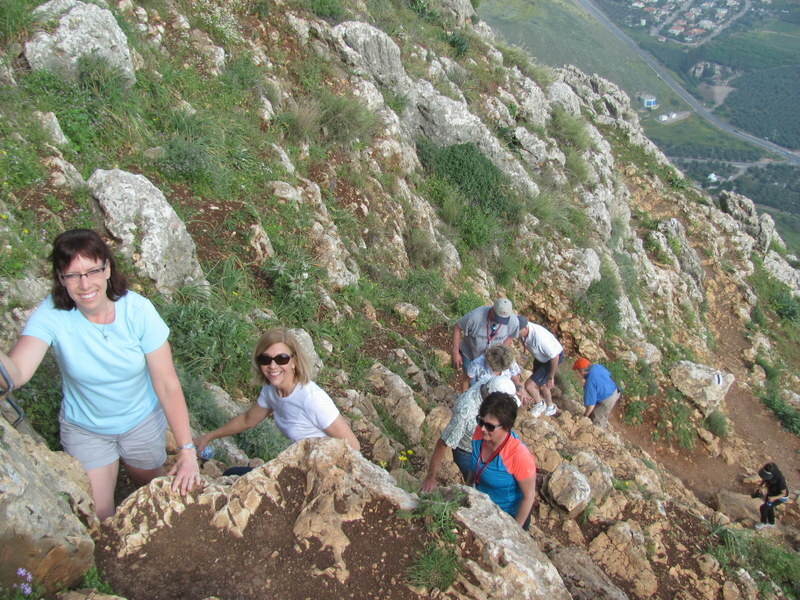 The Sea of Galilee is about 700 feet below sea level, so by the time we reached the top we were 100 feet above sea level. 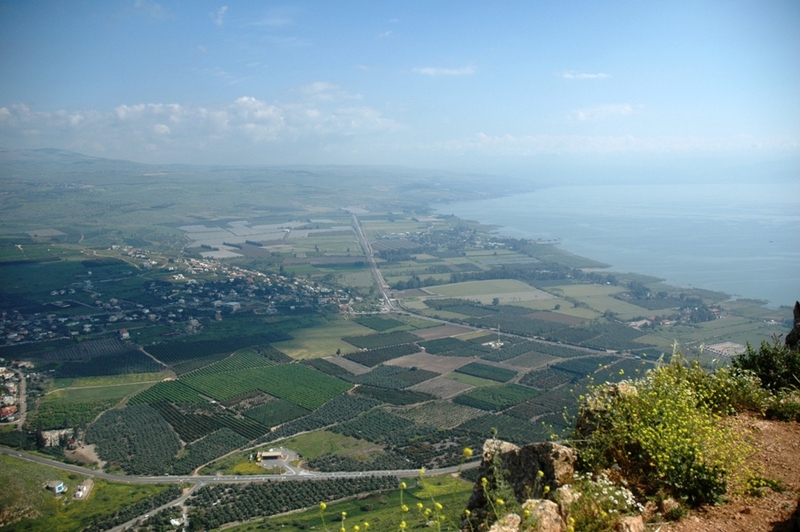 Before us stretched the Plain of Genneserat, the home of several cities in Jesus’ time. He doubtless walked across this terrain numerous times. 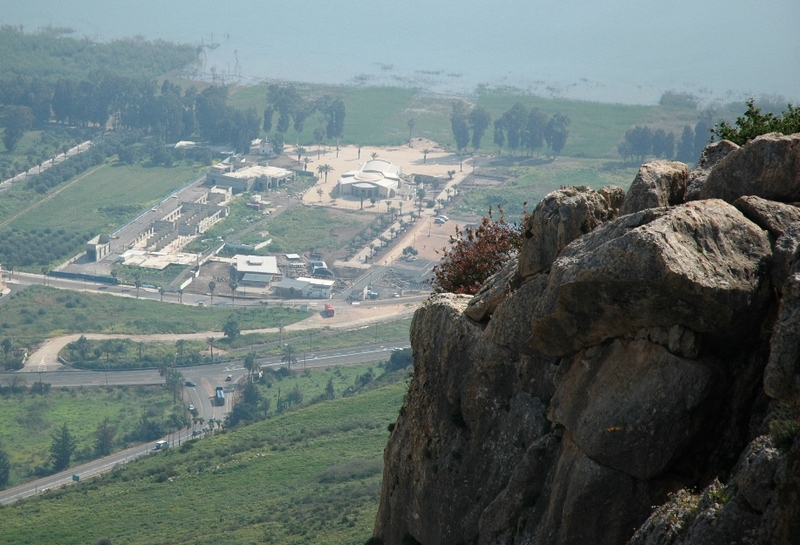 In the center of the Plain of Genneserat, along the northwestern shore (in the center of this photo), is our home for this stretch of the tour, kibbutz Ginosar. 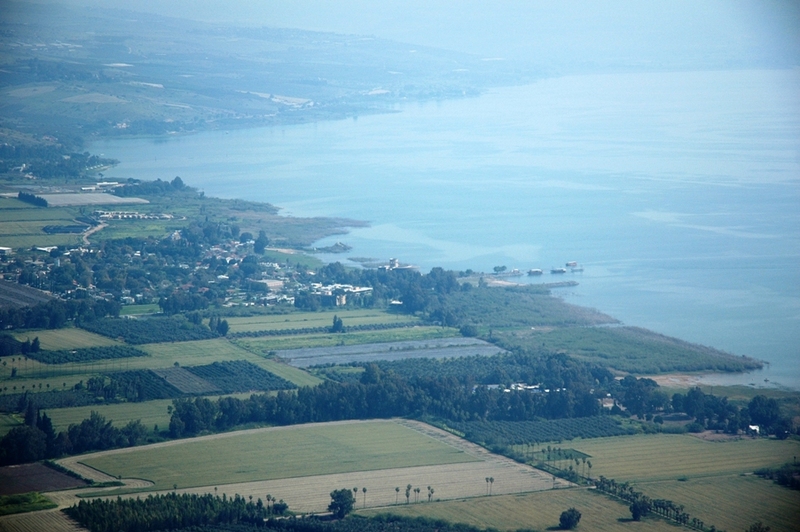 Along the shore at the top of the photo is Capernaum, we are headed there later today. 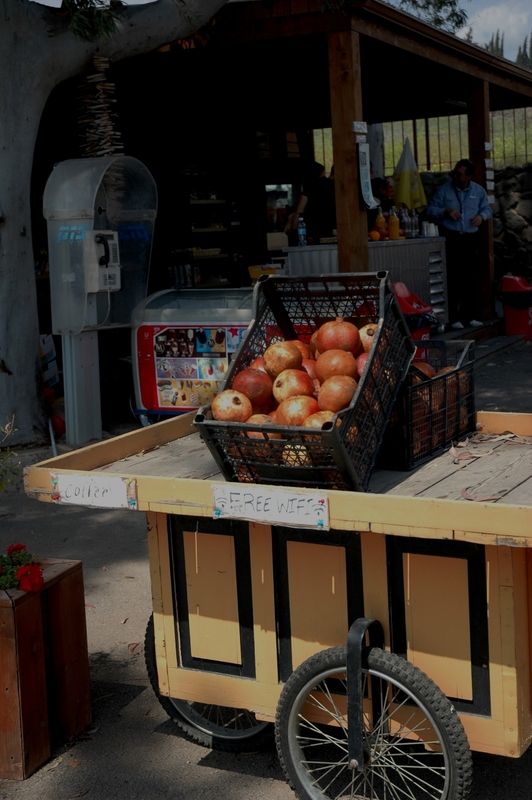 One of the most prominent cities along the Sea of Galilee in the time of Jesus was Magdala, the home of Mary Magdalene. Very little archaeology has been done in this area, until a Catholic order began to build a retreat center less than a decade ago. The archaeologists who preceded the builders were in for a surprise. The first place the archaeologists dug, they found a first century synagogue less than a foot under the surface. 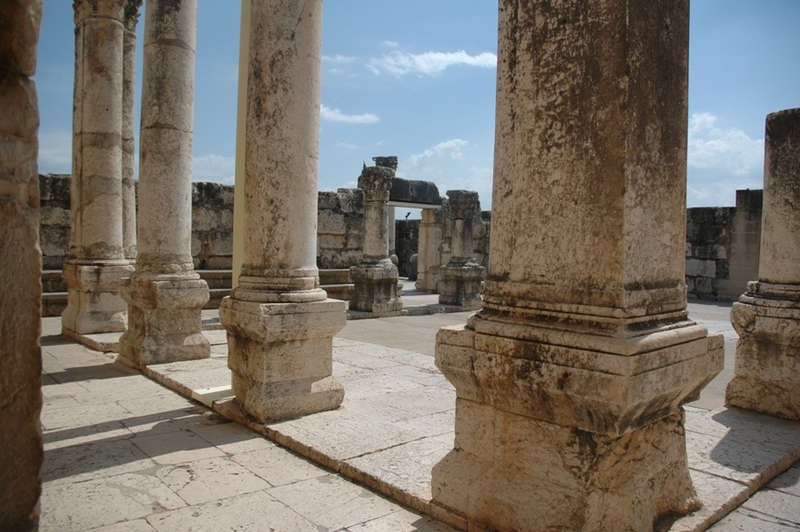 The gospels tell us that Jesus went throughout the Galilee, teaching in the synagogues. This synagogue in Magdala was doubtless one that he visited, perhaps the home synagogue of Mary Magdalene. It is one of only seven synagogues known from the first century. 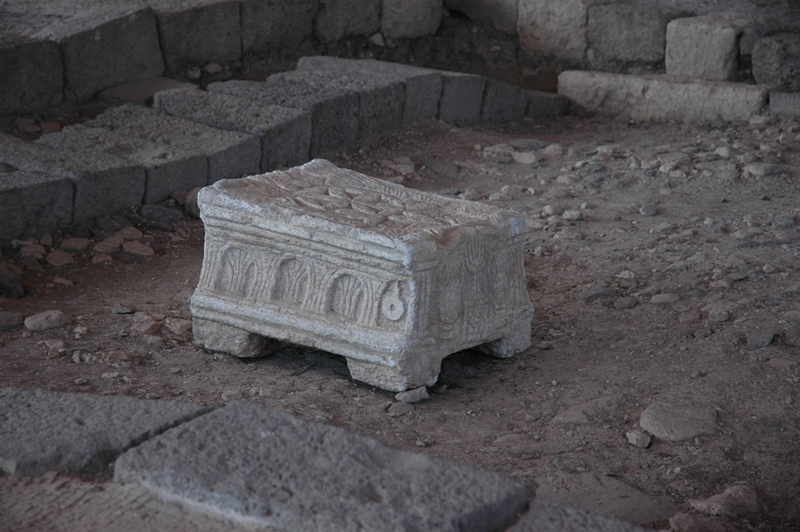 Mysteriously, right in the middle of the ruin of this synagogue archaeologists found this “table.” On one side is the depiction of the temple menorah, one of the oldest menorah depictions ever found. But it’s not exactly a table, because it has carvings on all of the sides and on the top surface. Exactly what it is, has archaeologists baffled. After Magdala we visited several more area synagogues, which are not quite 2,000 years old. 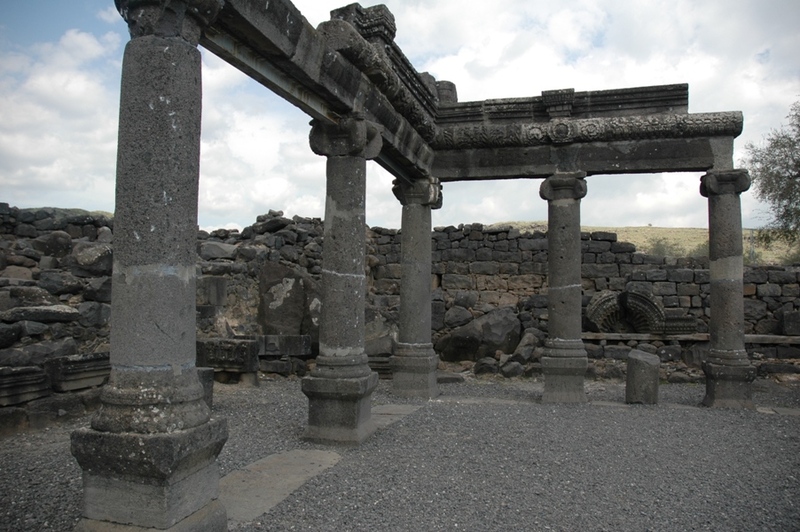 The synagogue in Chorazin is built of basalt, like many of the ancient buildings in the Galilee. Chorazin was one of three cities condemned by Jesus for disbelief (in Matthew 11). Chorazin, Capernaum, and Bethsaida are often called the three points of the evangelical triangle. 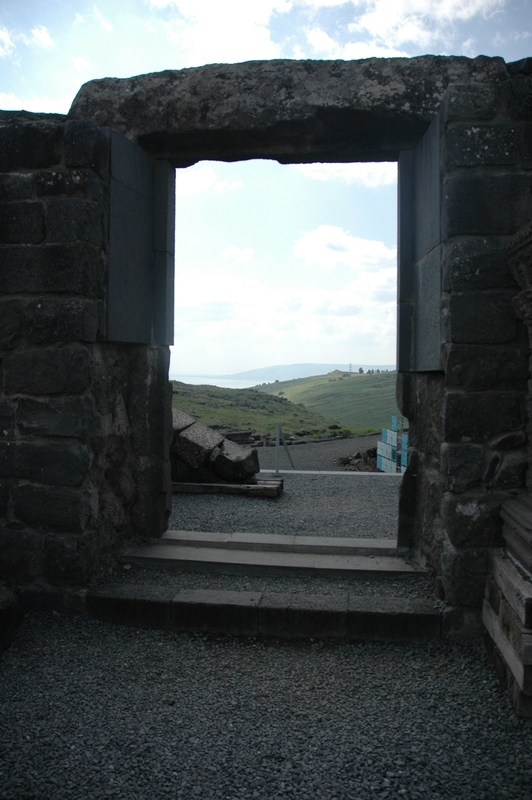 Here, in the distance through the Chorazin synagogue doorway, we can see the Sea of Galilee. 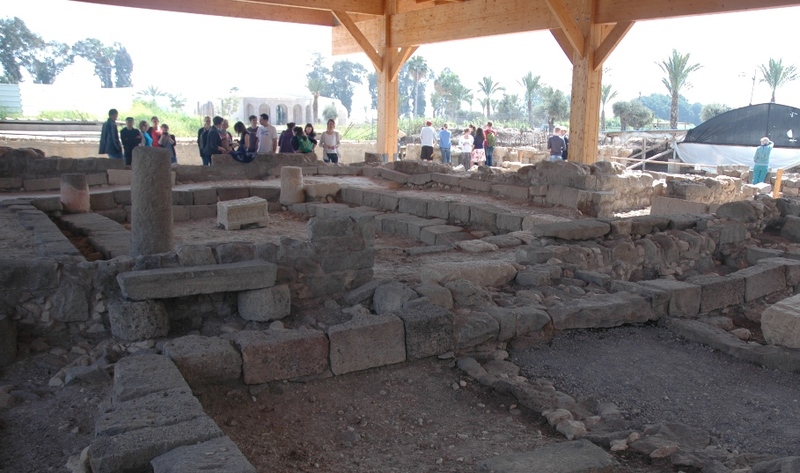 The “white synagogue” that visitors see in Capernaum today was built 4-5 centuries after the time of Jesus, but archaeologists say it sits on the basalt foundation of the synagogue from Jesus’ time. Some Bible scholars think it was built as a “show” synagogue for the benefit of pilgrims who visited the city in which Jesus lived during his ministry. The Holy Land has been accommodating pilgrims for almost 2,000 years. Today you can find WIFI almost everywhere that pilgrims would want to visit. 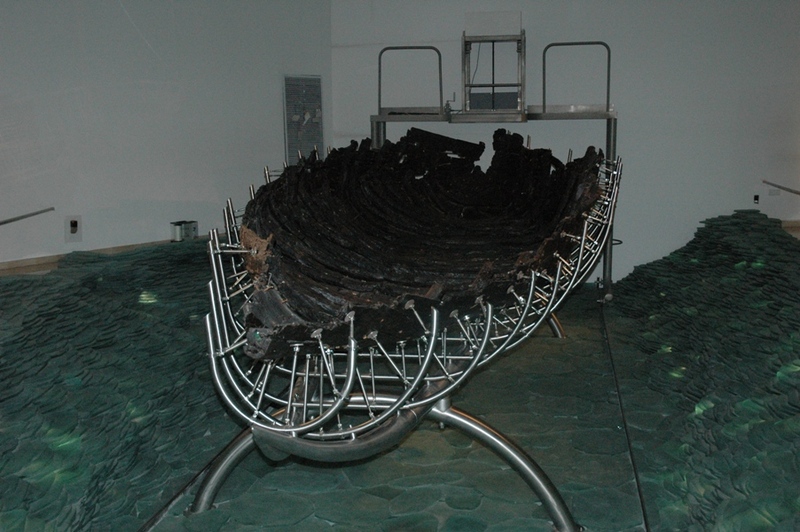 At kibbutz Ginosar, near the kibbutz hotel where we stayed, is the Yigael Allon museum, which houses the famous “Jesus boat.” This 2,000-year old boat (what’s left of it) was found buried along the Sea of Galilee shore in 1986. After an extensive period of restoration, it was put on display. Soon we were out on the water in our own “Jesus boat,” enjoying this biblical connection to the gospel accounts, with some time of singing and some time for quiet reflection. 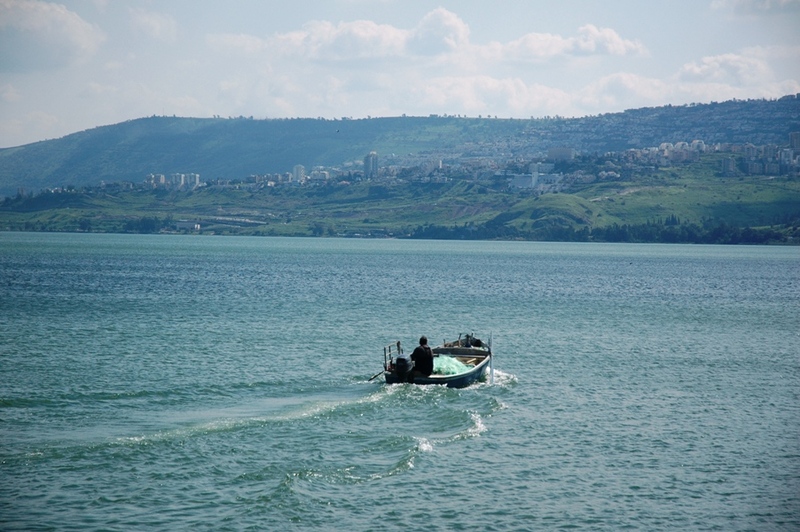 While we were on the water, a modern Galilean fisherman motored by in his boat filled with fishing nets. 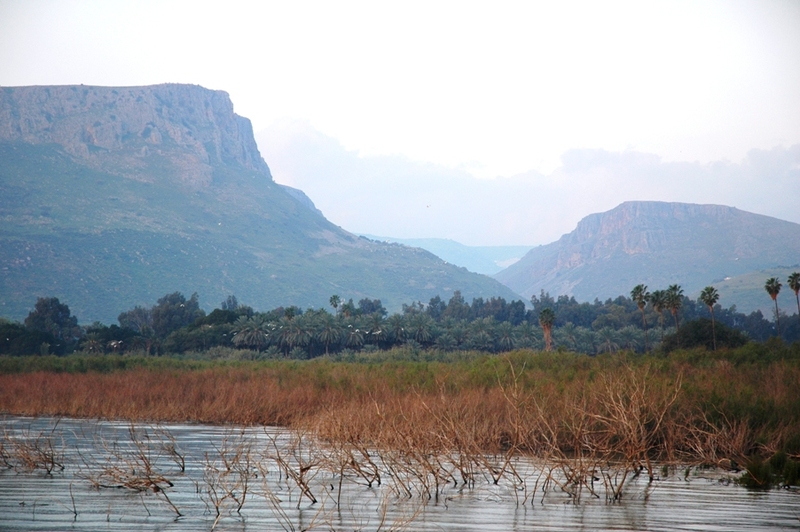 South of the Sea of Galilee, along the Jordan River, is the Yardenit baptism site. 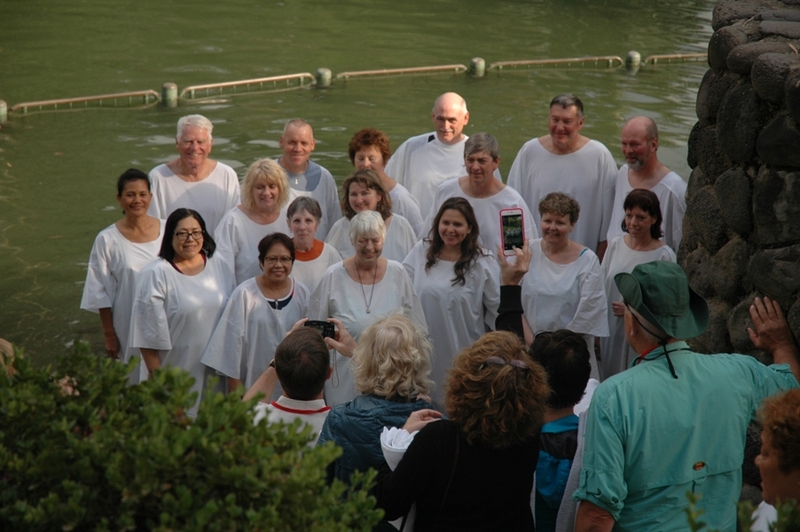 Sixteen members of our group were ready to be baptized. 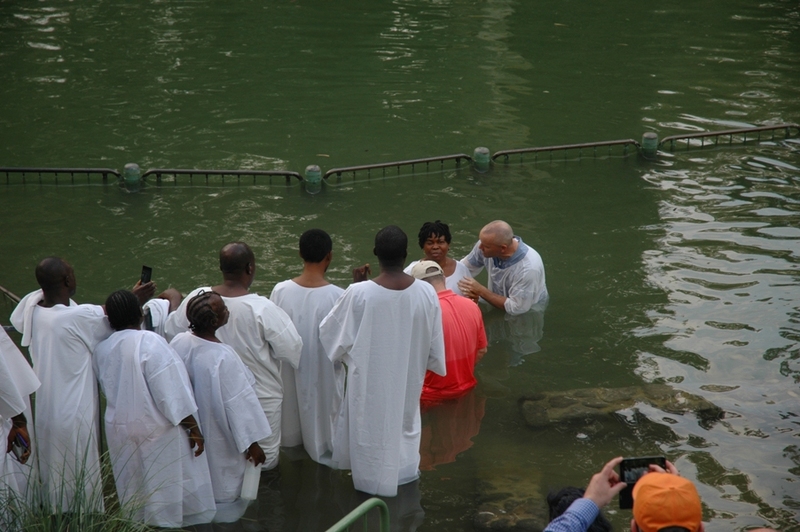 After our group was baptized, a group of pilgrims from Nigeria asked our leader, Pastor John DeLancey, to baptize them. He was glad to oblige. 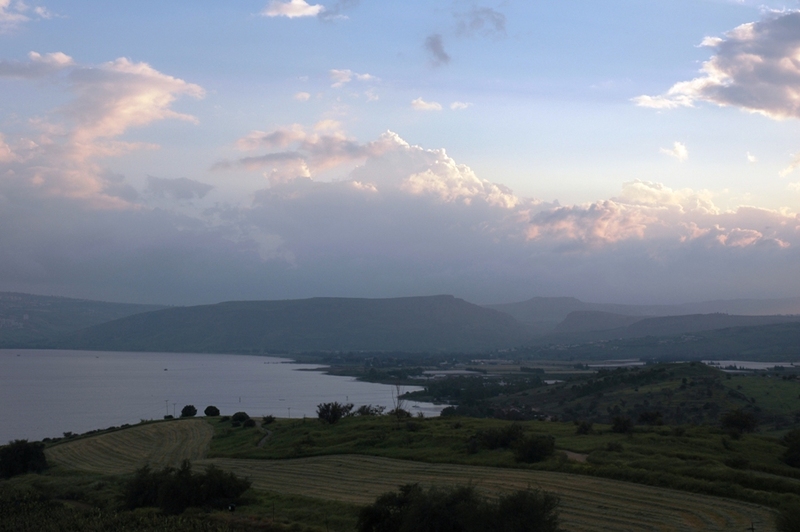 At the end of the day we returned to the northern shore of the Sea of Galilee and the traditional site of the Sermon on the Mount. 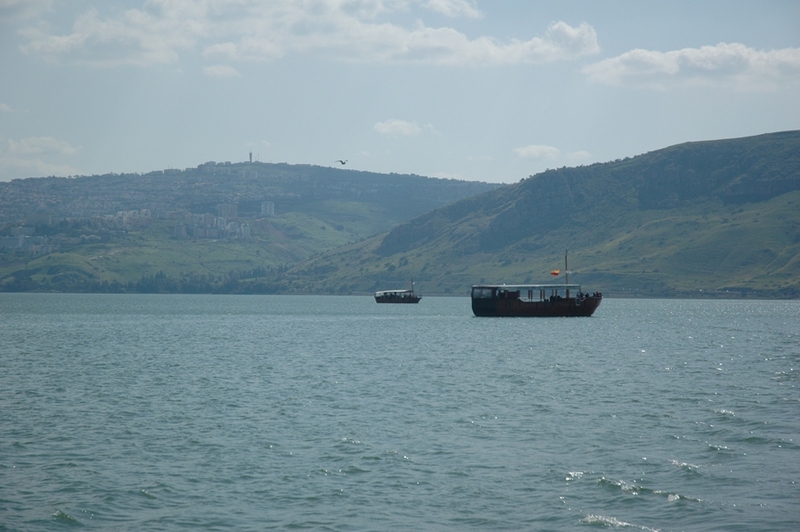 We reflected on the passage that Jesus used to define his kingdom ministry and walked from there back down to the Sea of Galilee shore. Jump ahead to Tour Report #6.